Bucephalus was the famous and well-loved horse of Alexander the Great. Plutarch tells the story of how a 12-year old Alexander won the horse: A horse dealer offered the horse to Alexander's father, Philip II of Macedonia, for the enormous sum of 13 talents. Since no one could tame the animal, Philip wasn't interested, but Alexander was and promised to pay for the horse should he fail to tame it. Alexander was allowed to try and then surprised everyone by subduing it. Alexander spoke soothingly and turned the horse so that the horse didn't have to see its shadow, which had seemed to distress the animal. 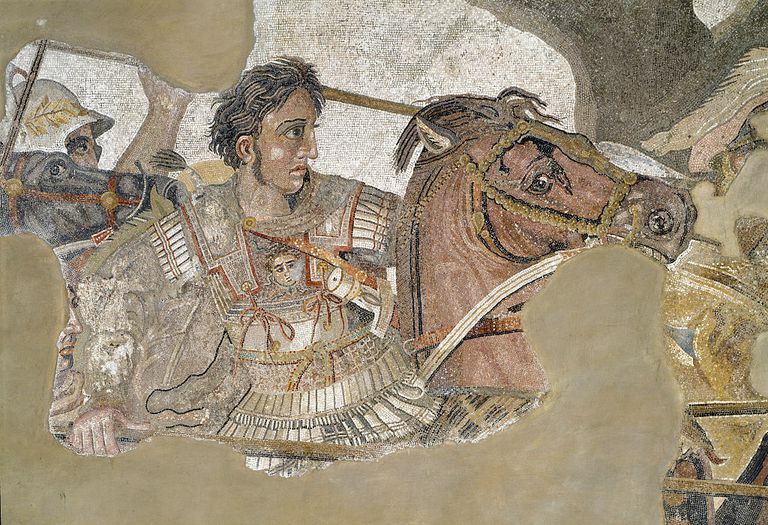 With the horse now calm, Alexander had won the wager. Alexander named his prize horse Bucephalus and so loved the animal that when the horse died, in 326 B.C., Alexander named a city after the horse: Bucephala.